There are some decent discounts now available at the Playstation Store. 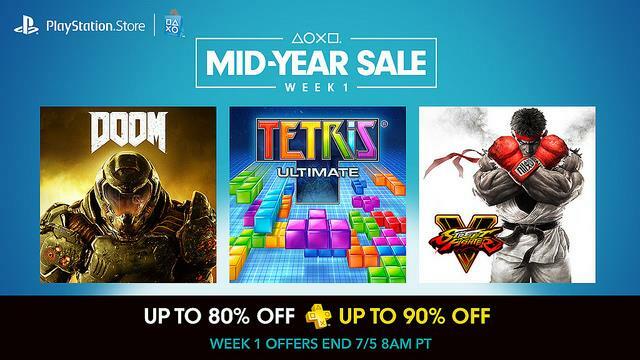 It's week 1 of 2 in the Mid-Year Sale and is offering over 170 titles with some new and old games in there spread out between the PS4, PS3 and PS Vita, as well as some films to rent or buy. The sale runs through Tuesday, when Week 2 will take effect with a new lineup of games. A full list can be found at the Playstation Blog or directly at the Playstation Store and I've included a few personal highlights below.